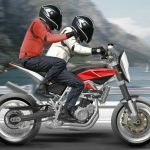 Husqvarna will present its new Nuda 900R and Nuda 900 street bikes at the 2011 EICMA show, but the BMW-owned manufacturer promises to have a surprise in store. 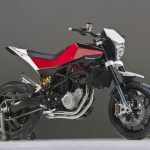 The Husqvarna Nuda 900R already made its public debut in September at the Frankfurt Auto Show, but EICMA will mark the first public appearance of the 900 version. 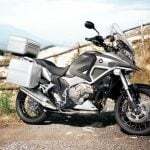 Both models are powered by 900cc parallel Twin engines derived from BMW’s F800 engine, but the R version will have higher-spec suspension and brakes as well as various carbon fiber bits. 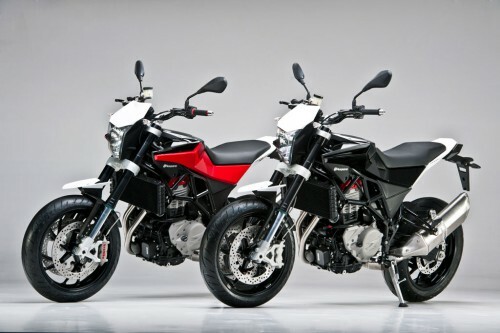 The Nuda 900R will be equipped with fully adjustable Sachs forks and fully adjustable (as well as ride height adjustable) Ohlins shock while the non-R version will have a non-adjustable Sachs fork and fully adjustable Sachs monoshock. 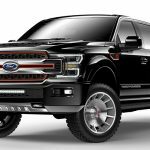 The 900R will have more ground clearance and a higher center of gravity. 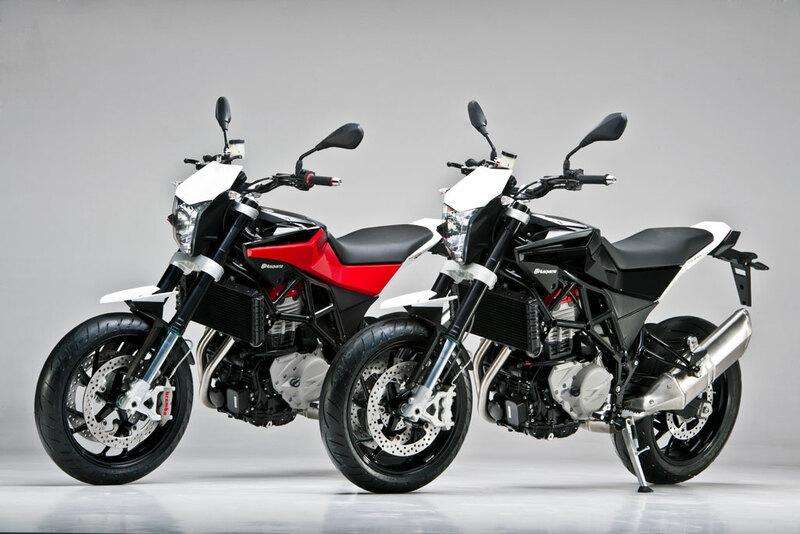 Both models will also be equipped with Brembo brakes but the 900R will use monobloc calipers. 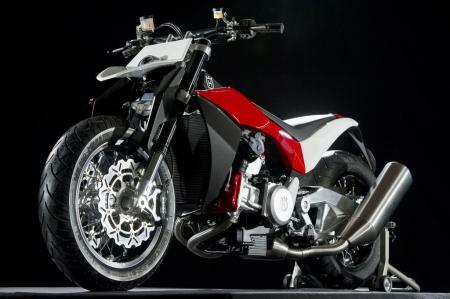 Not much is known about Husqvarna’s “big surprise” however. 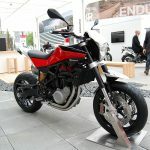 The manufacturer opened some eyes at the 2010 EICMA show with an odd supermotard-cruiser hybrid called the Mille 3 (pictured below). This year’s surprise may be just as interesting. 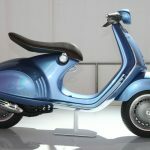 Husqvarna will also likely display its E-go electric scooter concept which also made its public debut in Frankfurt. 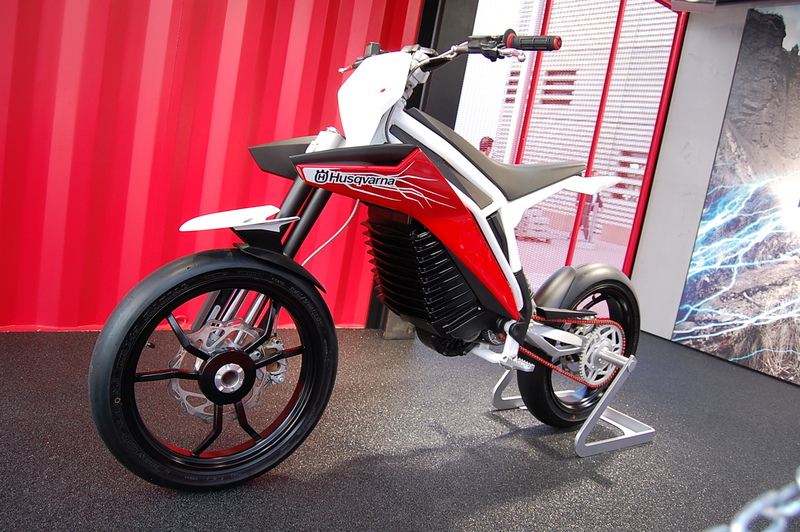 The silent-running E-go (pictured below) has a claimed weight of just 176 pounds and is equipped with an unusual single-sided front, with both suspension tubes aligned on the right of the wheel. Check back on Nov. 8 for our coverage of Husqvarna and other news from the 2011 EICMA show.